You might expect your kitchen pipes to be leaky, but your gut? How is that possible? Leaky gut is a serious but widely misunderstood intestinal condition that deserves more of your attention, especially if you’re constantly fighting digestive problems. In its simplest terms, leaky gut is a condition that creates small holes in the intestinal walls. Bacteria, toxins, and other harmful debris use those holes to infiltrate the bloodstream and other healthy tissues. A growing body of research now associates leaky gut with numerous symptoms and several chronic diseases. Is it possible that leaky gut is the invisible culprit causing your IBS, lupus, or Crohn’s disease? If so, it’s not a lost cause! Leaky gut supplements like probiotics, digestive enzymes, and collagen have the power to restore your health. In order to understand leaky gut, it’s important to first take a look at the inner workings of your digestive system. Every time you eat, food moves through your gastrointestinal (GI) tract. Digestive juices and chemicals in your digestive system break food down into smaller pieces of nutrients that can be used strategically throughout the body. This process is a major undertaking that exposes your body to a wide range of toxic substances. In order to protect your body from any harmful invaders that may appear during the digestive process, your GI tract uses the walls of the intestines as safeguards. The walls of the intestines create an “intestinal barrier” where billions of bacteria come head to head with your body’s powerful immune system. This barrier has the serious responsibility of absorbing essential nutrients while blocking harmful microorganisms. It might sound impossible to absorb nutrients and block dangerous substances at the same time, but it’s possible thanks to tight junctions in the intestinal barrier. Tight junctions are permeable seals that let water and nutrients pass through, but block anything dangerous or toxic. If tight junctions work properly, leaky gut never develops. However, just like any other part of the body, tight junctions are vulnerable to damage. Gluten, sugar, dairy, and medications can all irritate the digestive tract and puncture the tight junction with small holes. These holes allow bacteria, food particles, and toxins to pass through the intestinal barrier and into the bloodstream. In other words — a leaky gut. Holes in the tight junction of your intestinal barrier don’t develop without a reason. In fact, there are multiple factors that might cause small holes to form on your intestinal wall. Gluten, dairy, and sugar are common leaky gut culprits because all three are known to aggravate the digestive tract. Gluten is a protein found in wheat and other grain products. It’s possible for gluten to trigger your GI tract to release a protein that degrades your intestine and creates the tiny holes associated with leaky gut. Even casein, the main protein in dairy, functions like gluten by tearing holes in the intestine. About half of people who are gluten intolerant are also casein intolerant. Though sugar doesn’t contain casein, a high-sugar diet aggravates existing inflammation by breeding bacteria and compromising the ability of the intestinal wall to act as a barrier to toxins. Antibiotics also cause leaky gut because they destroy healthy bacteria in the gut. Without healthy bacteria, yeast thrives and causes damage. Yeast like candida is known to shrink cells in the small intestine, which results in tiny holes and crevices that allow toxins to pass into the bloodstream. As toxins and bacteria pass through your gut and into your bloodstream, your body automatically responds by creating antibodies to fight off so many invaders. That’s normally a great response, but in this case a surplus of antibodies actually over-stimulates the body’s immune system. As a result, untreated leaky gut makes your body extremely vulnerable to ongoing health problems. Chronic inflammation and an overload of antibodies may trigger serious complications. Supplements are so important because they can minimize or even prevent the following health leaky gut complications. Any autoimmune disease is characterized by the body attacking its own healthy tissues. Until recently, experts believed only genetic and environmental factors triggered autoimmune problems, but now research suggests that dysfunction of the intestinal barrier may also trigger autoimmune conditions like type 1 diabetes, food allergies, celiac disease, and lupus. Increased intestinal permeability is also linked to severe digestive disorders like Crohn’s disease. This chronic digestive condition is defined by ongoing inflammation in the intestinal tract. Since leaky gut causes inflammation as toxins, bacteria, and food particles escape into the bloodstream, Crohn’s disease, irritable bowel, and other digestive conditions are possible complications of untreated leaky gut. Leaky gut also compromises your body’s ability to absorb essential nutrients. Damaged cells in the intestines cannot efficiently produce the enzymes needed to properly break food down into nutrient molecules. This robs the body’s organs and tissues of the nutrients needed to function optimally. In addition to a healthier diet, you can also use leaky gut supplements and herbs to encourage comprehensive gut healing. 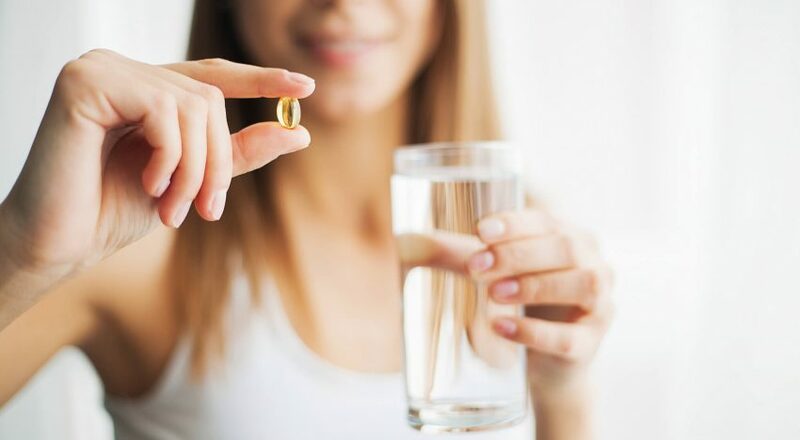 By incorporating the following supplements into your health regimen, you can restore your digestive health and escape the discomfort of leaky gut. Your entire digestive system is always teeming with bacteria. As long as good bacteria outnumber bad bacteria, your gut stays healthy. Probiotics nurture and cultivate the healthy bacteria within your gut flora, which in turn prevents leaky gut. It’s more important to select a probiotic with a very low die-off rate and a high absorption rate. This ensures that the maximum number of CFUs make it safely into your gut to do their job. A product like Vive Biotics is formulated to protect all probiotic strains as they move through the digestive tract. Bacteria successfully bypass common absorption obstacles — even destructive stomach acid — and move directly into the gut. Vive Biotics takes it a step further by offering billions of CFUs with a reliable 97% absorption rate. Most standard probiotics only provide a 10% absorption rate, which means that 90% of the probiotics you pay for are killed before they reach the gut. Vive Biotics is entirely different — nearly all of the potent beneficial bacteria you put into your body survive to efficiently prevent leaky gut. However, when your body doesn’t produce specific enzymes in large enough quantities, food remains undigested and becomes a feast for harmful bacteria. As harmful bacteria multiply, they damage the intestinal barrier and create the holes that define leaky gut. Fortunately, digestive enzymes are available in supplement form to support your naturally occurring enzymes in the important task of digesting and processing the food you eat. Collagen is the most abundant protein in your body and a building block necessary for life itself. In addition to sustaining youthful skin and protecting vital organs, collagen also works like a “sealer” for a damaged gut lining. It helps restore a strong intestinal barrier and protect it from further damage. Research shows that people suffering from inflammatory bowel conditions such as Crohn’s or IBD tend to have lower amounts of collagen in their bodies. Supplementing with a high-quality multi-collagen product can restore the nutrients and amino acids the body needs to generate new tissue in the gut lining. Perfect Origins TBM Multi-Collagen Protein stands out from all other collagen supplements. 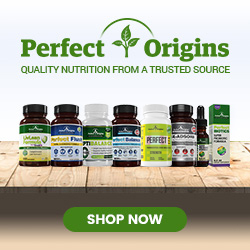 Its five unique types of pure, natural collagen, including grass-fed beef, free-range chicken, wild-caught fish, and eggshells, provide the necessary building blocks to strengthen your gut health and reduce the symptoms of leaky gut. It’s also significant that TBM Multi-Collagen Protein includes hydrolyzed ingredients. Hydrolyzed formulas are broken down into even smaller substances to improve absorption in the digestive system. The more collagen your body absorbs, the more dramatic your GI results will be. Leaky gut isn’t a widely known or understood condition, but it can still pose very real threats to your digestive system and quality of life. 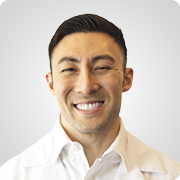 As long as you recognize the symptoms of leaky gut and educate yourself on the supplements powerful enough to reverse and prevent leaky gut complications, you can take the most important steps to defend your own gut health.